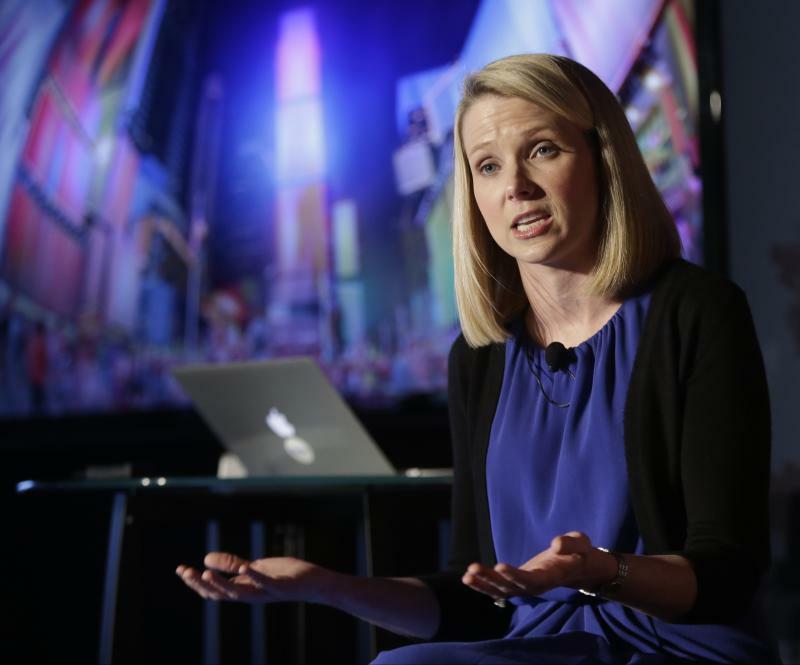 Yahoo Inc. lured Marissa Mayer from Google in July to become its fifth CEO in as many years. Her task: Help the Internet pioneer regain its stature after years in a financial funk. In her first year leading the company, she has overseen a redesign of Yahoo services and orchestrated several acquisitions. — ALIBABA: In September, Yahoo completed a long-awaited, $7.6 billion deal for Chinese e-commerce group Alibaba to buy back nearly half of Yahoo's 40 percent stake. Most of the proceeds have gone back to shareholders, but Mayer has held on to some cash to pay for acquisitions, such as Yahoo's $1.1 billion acquisition of Internet blogging service Tumblr. — MOBILE: Mayer has made mobile services one of her top priorities, as more people connect to the Internet on smartphones and tablet computers. During her tenure, Yahoo has created a new weather app for Apple's iPhone. It also has redesigned an email app for smartphones, as well as the app for its Flickr photo service on the iPhone and iPad. But in February, Mayer also said Yahoo will be better served with just 12 to 15 mobile applications, down from a "scattered" portfolio of as many as 75 different programs in recent years. — WEB MAKEOVER: Yahoo unveiled a long-awaited redesign of its home page in February — the first in four years. The new approach has been getting people to visit more frequently and linger for longer periods of time. Yahoo said it has developed more sophisticated formulas to determine which topics are most likely to appeal to different people so the news feed can be fine-tuned to cater to different tastes. — PERSONNEL: Ross Levinsohn, who was in charge of Yahoo's media and advertising services and served as interim CEO before Mayer's hiring, left the company last year. Software industry veteran Ken Goldman was named chief financial officer to replace cost-cutting specialist Tim Morse, who was hired in 2009. Alfred Amoroso stepped down as board chairman in April and left the board in June, becoming the eighth director to leave since early 2012. Maynard Webb Jr. is serving as Yahoo's interim chairman. — STOCK PERFORMANCE: Mayer's efforts at Yahoo have been well-received on Wall Street, although most of the 75 percent surge in Yahoo's stock price under Mayer's leadership has been driven by the rising value of Yahoo's remaining 24 percent stake in Alibaba. Unlike Yahoo, Alibaba has seen its growth accelerate. That success has been steadily increasing Alibaba's estimated market value during the past year. Analysts believe Yahoo may be able to make another $10 billion to $20 billion, before taxes, when it sells the rest of its Alibaba holdings. — ACQUISITIONS: Yahoo has bought 17 companies since Mayer took over as part of an effort to bring in better technology and obtain more engineering talent to help build better mobile applications. All of the deals have been relatively small, with the exception of Tumblr. Mayer is betting Tumblr will provide Yahoo with a captivating hook to reel in more traffic and advertisers on smartphones and tablet computers.